Treyarch has taken a radically different approach from that of Epic Games when it comes to unlocking new Blackout skins. 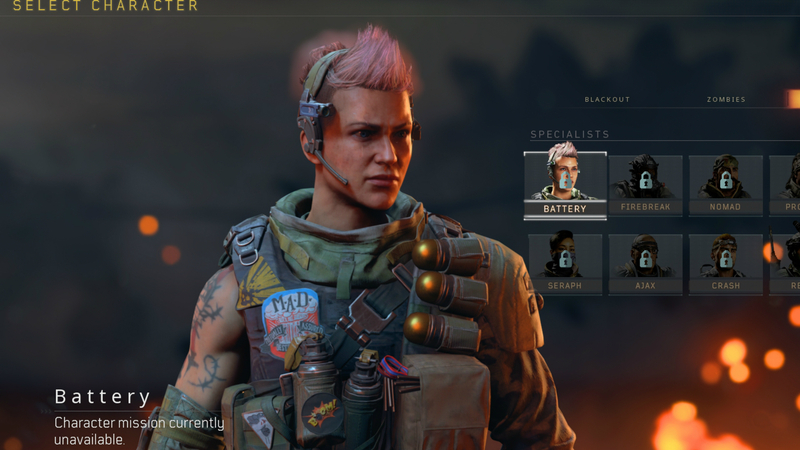 While a select few skins can be unlocked by simply levelling up and playing the Black Ops 4 battle royale mode, the coolest Blackout skins have to be unlocked by completing character missions. 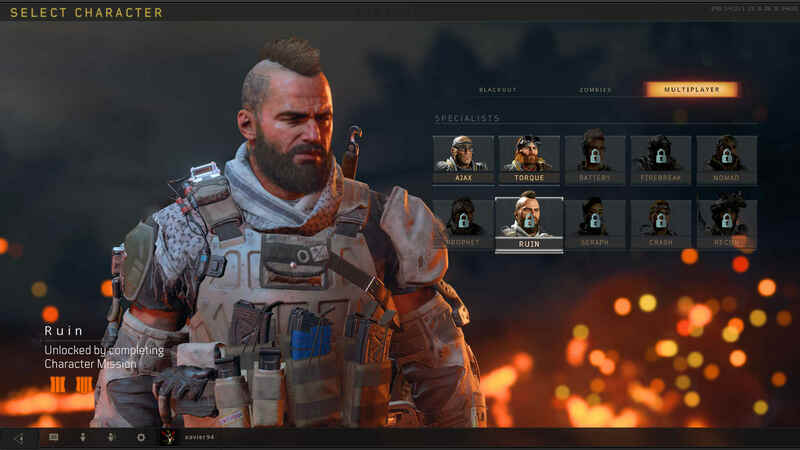 Judging by the quests that are currently available in Blackout, only the most dedicated players stand a chance of earning new outfits. 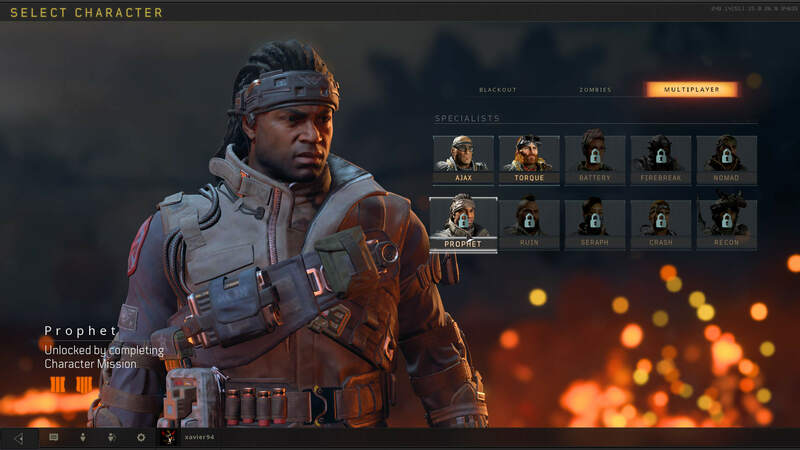 The Blackout skins themselves are taken from the campaigns and Zombies modes of previous Treyarch Call of Duty games, so a lot of these are fan-favourite characters that many will want to get their hands on. 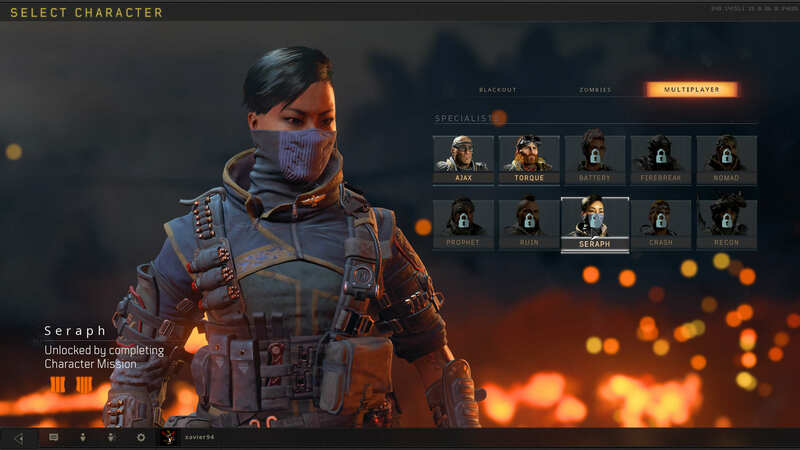 Eventually, Black Ops 4 players will be able to run around the battle royale map as characters like Richtofen, Takeo, Mason, and Menendez. 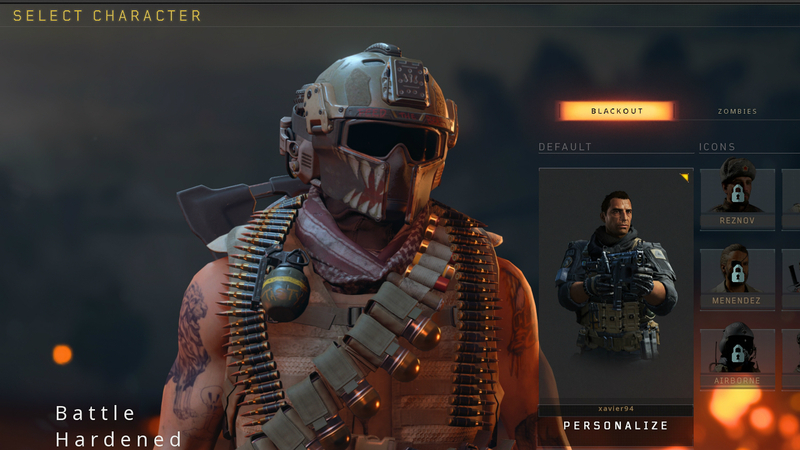 So, if you’re looking to upgrade your wardrobe of Blackout skins then you’ve come to right place. Here is a complete list of all Multiplayer, Blackout, and Zombies skins in the battle royale mode, plus how to unlock all the currently available outfits. 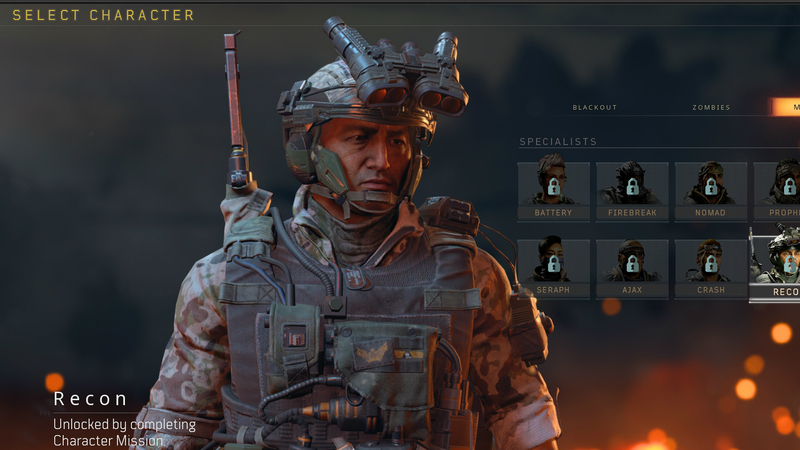 These Specialist skins are extremely difficult to earn, so if you see an enemy donning one then you can be sure they’re a veteran of Call of Duty’s battle royale mode. 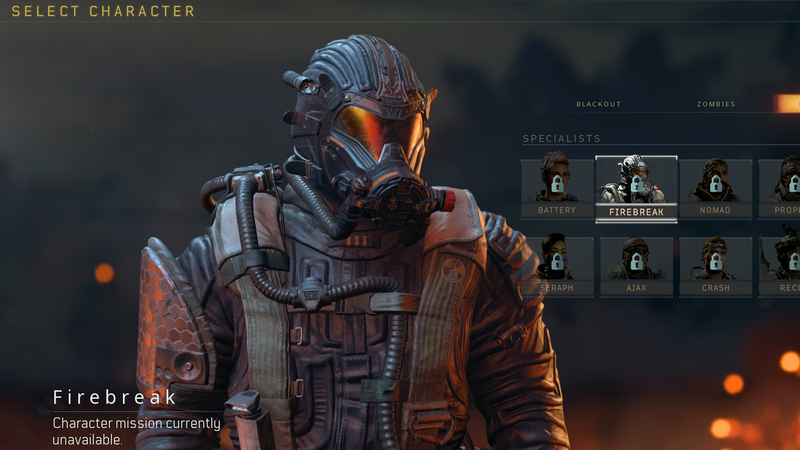 Only four of these Multiplayer Blackout skins are currently available to unlock, but we also know how to complete the challenges for both Firebreak and Battery thanks to the Blackout beta. We expect the remaining skins to unlock in the coming weeks, so check back here for all the latest details on how to unlock all Blackout skins. Collect 3 Destroyed Armour Plating items and finish the match with them in your inventory. This is by far the easiest Blackout character skin to unlock as you can kill the required enemies any way you want and you don’t have to worry about finishing in the top few teams. For starters, you’ll want to grab a Backpack in order to hold the Destroyed Armour Plating pieces alongside other helpful items. Then, simply kill three enemies who are wearing armour, loot a piece of Destroyed Armour Plating from each one and then keep playing until the match is over. You can also loot these items from enemies you didn’t kill, so be sure to check any bodies you come across while playing Blackout. If playing in squads or duos it’s wise to gift each other pieces of Destroyed Armour Plating so that at least one of you completes the Ajax character mission each Blackout match. Find the Note from Torque item, place 1 Barricade and 2 Razor Wires. Finish the match in the specified placement with the Note from Torque in inventory. Completing this Blackout character mission relies on plenty of RNG and a strong sense of self-preservation. Just keep looting until you have all four items, making sure to use the Barricade and Razor Wire as soon as you get them, and then do everything in your power to place within the specified placement. This will be easier in squads, where the four of you can pool your resources, fight for more loot crates, and protect one another much more effectively. Collect the I Ching Coins item and take no damage from the circle. Finish the match in the specified placement with the I Ching Coins in inventory. You can find the I Ching Coins item randomly in supply crates, so the challenge of this mission is all in avoiding the circle and placing highly. The Recon Blackout character mission doesn’t require too much RNG, but it will take a great deal of skill and guile to finish as you’re not allowed to take circle damage at any point in the match. Not even a scratch. Speed-based perks like Skulker and Mobility will help you move faster than the circle so stack up on these over the course of the match. Collect the Poker Chips item. Finish the match in the specified placement with the Poker Chips and 15 healing items in inventory. To find Poker Chips you’ll need to search as many Medic Bags as possible, which you’ll want to do regardless as they typically contain a Trauma Kit and will also help you finish the match with 15 healing items. Like all Blackout challenge items, the Poker Chips are exceedingly rare so your best bet is to try and complete this with three other teammates who can help you by giving you healing items and protecting you. Find the War machine and get 2 kills with it in Blackout. 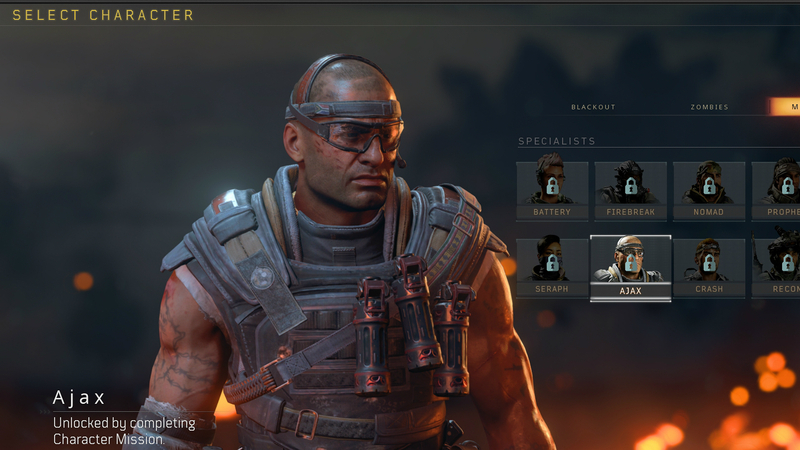 This Blackout character skin might be very difficult to get your hands on as it involves tracking down one of the rarest guns in Blackout. You can find the War Machine in Supply Drops, but it’s a very rare drop, and once you get it you’ll need to get two kills with it – not downs, kills. Fortunately, you don’t need to then finish the match with a really good placement, you can just die with the War Machine in your inventory and 2 kills with it and you’ll unlock the Blackout Battery skin. The best way to get the War Machine is to chase down as many supply crates and weapons stashes as possible in the hope you’ll find this powerful grenade launcher. Once you have it you’ll need to get a kill with it. Ammo can be pretty scarce for the War Machine, so there’s no point in wasting shots unless you’re certain you can get a kill with it, let alone two. Wait until you have a couple of enemies pinned down in a building and then use all of your shots to secure the kills in relative safety. Collect the Burned Doll item and get a kill with fire. Finish the match in the specified placement with the Burned Doll in inventory. Once again, you’re at the behest of RNG when pursuing this Blackout skin. The Burned Doll item can be found in supply drops, but is very rare so your chances of finding it in a match are slim. When you do eventually come across this item, be it from a supply drop or looted from an enemy, make sure you have a good supply of Molotov Cocktails handy so that you are in a good spot to grab a kill with fire. Getting a kill with fire is very tricky, so try to sneak up on a player and throw a couple of Molotov Cocktails directly at them. Kill one enemy with the Annihilator, place in the top 5, and finish the match with the Annihilator in your inventory. 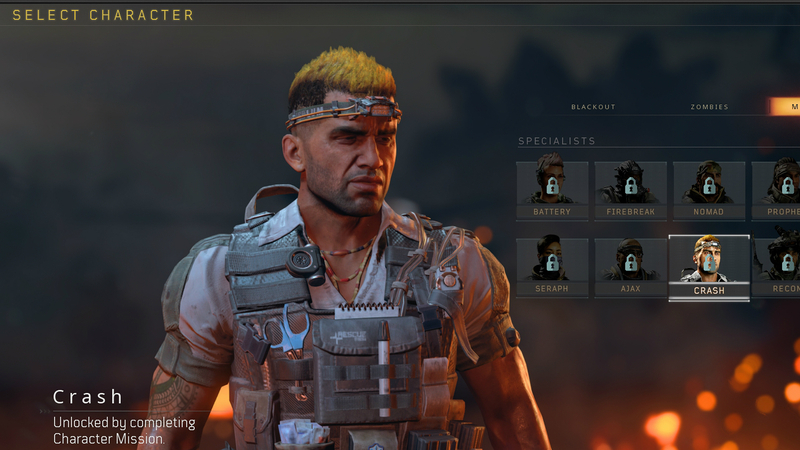 This challenge might be the hardest Blackout skin unlock of them all as on top of all of this you’ll also have to find the gun itself. To do this you need to drop at Firing Range, grab a pistol, and head to the building with the green tarp over that looks out onto a few targets. Check there are six targets down range, and also look around for a green box on the table on the right side of the room – if both features are there then the weapon will spawn this game. Now all you have to do is shoot all six targets with your pistol and you should hear the green box open, revealing the Annihilator. Now all you need to do is get a kill with it and survive into the top 5 solo, duos, or quads. However, the Annihilator isn’t a one-hit-kill monster like it is in Multiplayer, and you only get six rounds with it, so make sure you’re targeting the same player in close-quarters when it comes to securing that kill. Getting the kill is easier in solo games as they enemy won’t have any backup, but you can get your teammates to help cover you in quads if you’d rather unlock Seraph that way. Kill an enemy in close quarter combat and finish the match with the Punching Mitts in your inventory. There are three places that the Punching Mitts item can spawn in: on the second highest ledge in Lighthouse, on the roof of Asylum, or near one of the three cranes at Construction – the items can spawn at any of these locations in each game so getting them is tough. Next, you’ll need to secure a kill in close quarters, which can be done with any weapon, but nobody knows the exact distance required. The safest way to get ensure you unlock Ruin is to melee an enemy to death, so you’ll need luck and the Brawler perk to get your hands on the Ruin character skin. Have 3 perks active and win the match, and finish with the Ocular Prosthetic item in your inventory. The Ocular Prosthetic item can only be found in supply drops from the plane or on an enemy body. Then all you have to do is stack up three perks for the final few players and secure the Blackout win. This skin challenge comes down to RNG in finding the right item, but also requires a lot of skill and patience in order to actually win the match. 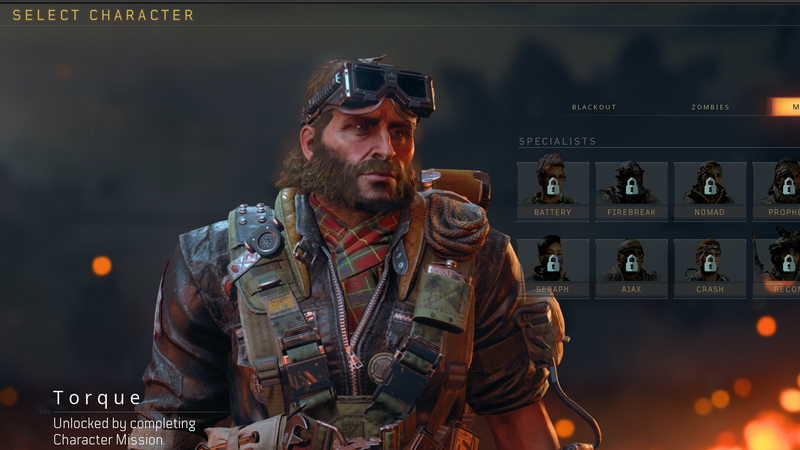 Kill 3 Specialist characters in a single Blackout match and finish the match with Juneau’s Tags item in your inventory. This challenge will become a lot easier as more players start running Specialist character skins, but is currently pretty tough as you’ll need to get at least three kills and be lucky enough that all enemies you come into contact with are donning a Specialist skin – it’s also unclear if you need to eliminate three different Specialists or if they can all be the same. As for the Juneau’s Tags item – this can spawn in stashes or from Supply Drops, so get searching. 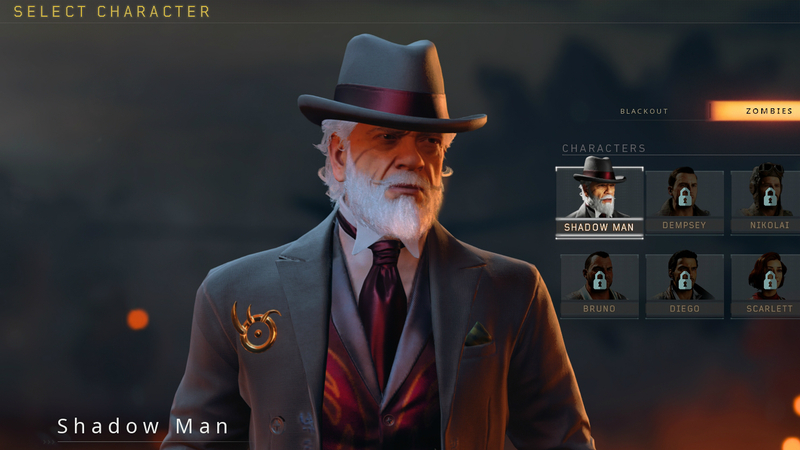 Other than the Black Ops Pass exclusive Shadow Man skin, all of the Zombies Blackout skins are currently locked. As such, we do not know what the criteria will be for these skins when they do unlock, but we will update this section as soon as we find out. 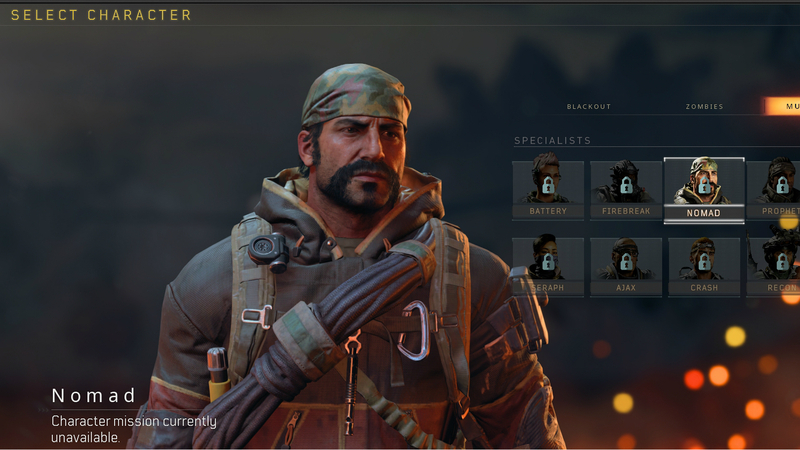 Featuring a number of beloved characters from previous Black Ops games alongside new generic Blackout skins like Frogman and Battle Hardened, this section of Blackout character skins is an odd mix of old and new. Most of these skins can be unlocked by simply grinding up levels in Blackout and earning as many Merits as possible, so to get these as fast as possible you’ll need to earn plenty of kills and place highly in matches. Completing Blackout challenges, especially Dark Ops challenges, will also earn you extra Merits, so keep these in mind. Hudson – the reward for reaching Tier 199 of the First Strike Contraband stream in Black Market. There you have it, all the know Blackout skins and the challenges you’ll need to complete in order to unlock each one. Most of these are very difficult to get, so you may want to check out our guide to the best Blackout weapons or our collection of Blackout tips to make unlocking these and placing highly a bit easier.